Xiaomi has put up Beta ROM of all these devices on official MIUI website. 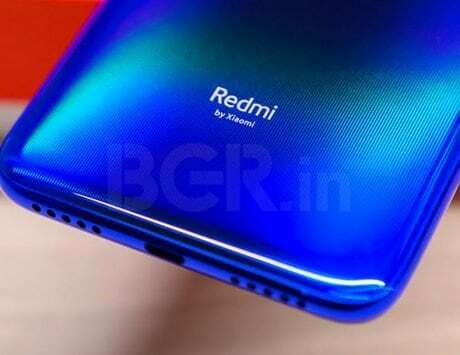 Other than Global Stable ROM for Xiaomi Redmi Note 7 Pro, the company has also released MIUI 10 Global Beta ROM 9.3.21 for a number of Mi and Redmi devices. The Android 9 Pie-based MIUI 10 beta update has been made available for a list of Xiaomi smartphones across markets, which includes Redmi Note 6 Pro, Redmi 6, Redmi 6 Pro India, Redmi 6A, Redmi 5A, Poco F1, Mi Note 3, Mi Note 2, Redmi 4X, Mi 5s, Mi 5s Plus, Mi 8 pro, Mi 8 Lite, Redmi 4A, Mi Max 2, Mi Max 3, Redmi Y1 Lite, Redmi Note 5A Prime, Redmi Y1, Mi 6, Mi MIX 2, Mi MIX, Mi MIX 2S and Mi MIX 3. Xiaomi has put up Beta ROM of all these devices on official MIUI website. It has also noted that the MIUI 10 Global Beta ROM 9.3.21 for Redmi Note 4 Qualcomm / Redmi Note 4X (mido), Redmi 5 Plus, Redmi 5, and Mi 9 is delayed due to errors. The update on Redmi S2 and Redmi Note 5/Pro is delayed due to testing of Android P.
As per official changelog of MIUI 10 Global Beta ROM 9.3.21, mostly errors have been fixed in various Xiaomi devices. For Redmi Note 5 and Redmi Note 7, a major upgrade for the toolbox in Game Turbo, including auto play and switching between data SIM cards, has been shipped. The update also introduces permanent notification icons for empty spots in the status bar in Note 7 and Mi 9. A GPS icon has been added to the status bar, which appears to a standard change across all Xiaomi devices receiving MIUI 10 Global Beta ROM 9.3.21.